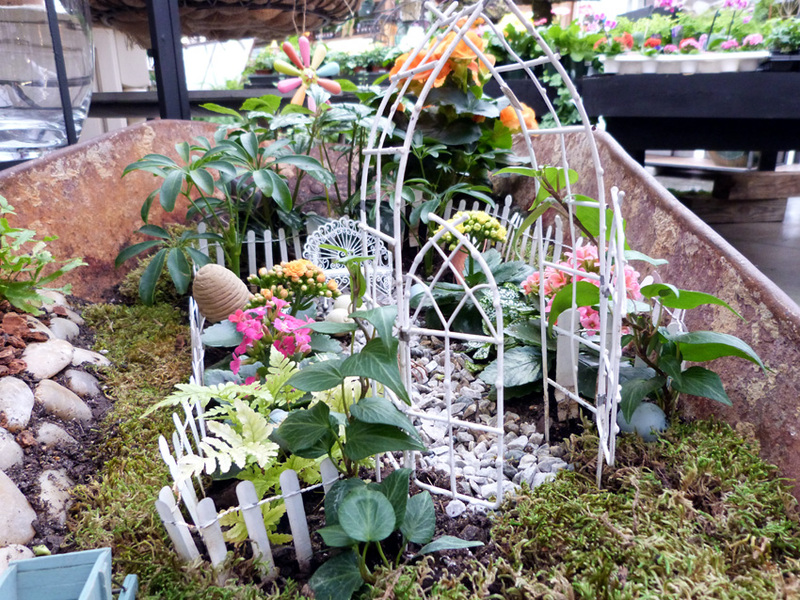 Join us Sunday, October 6th for the next in our series of fun fall workshops, Gardening in Miniature. Whether you love fairies, gnomes, or long for nostalgia, our Gardening in Miniature Workshop is for you, and even a budding gardener in your life. 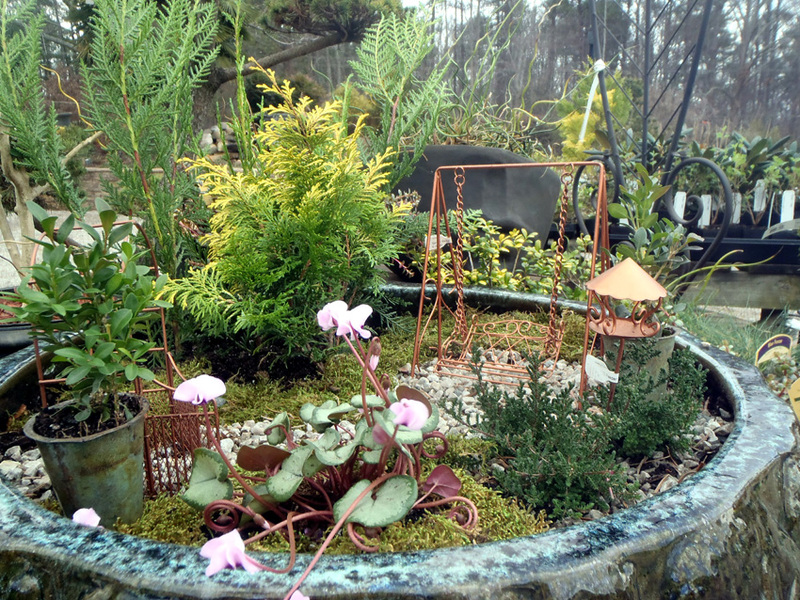 We will help you create a garden in miniature for inside or out. We provide the soil and design expertise, you provide the rest. Choose from our recent arrivals of spooky fall mini garden decor, or add a touch of enchantment with a tiny fairy or gnome. 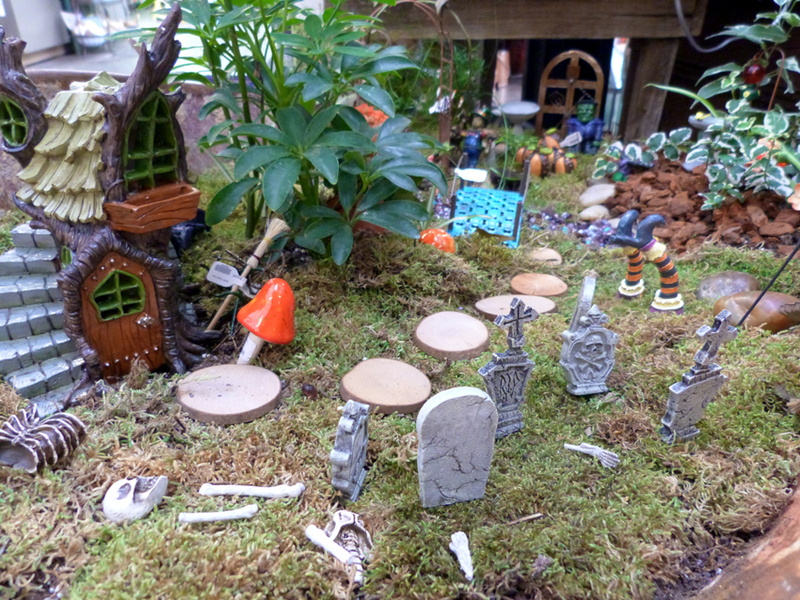 Gardening in Miniature-Halloween- Garden Supply Co.
Bring a container from home or let us help you choose the right vessel for your new miniature garden from our selection at the store. Leave this hands on workshop with a greater knowledge of container gardening in small scale and your own unique miniature design. We are really excited about this fun and creative workshop, and can’t wait to see what you all create from our lovely assortment of miniature plants and accessories. Please stop by the garden center or give us a call at 919-460-7747 to get registered.